NYC and SCL Budd observation cars. 16th St. at Rhode Island St. San Francisco. Landlocked on former WPRR. In 1982 NYC #48 was used as part of the ARTRAIN as ARTX 105. This group still continues to take various pieces of art via train to cities that did not have an art museum in their town. In 2002 MARC signed a Memorandum of Understanding with the Baltimore & Ohio Railroad Museum. This MOU allowed the Museum to use the car to provide HEP power for the MARC donated Heritage coaches being used by the Museum for its Mile One Express train ride to where the First Stone of the B&O Railroad was laid on 4 July 1828. In January 2009 MARC donated the car to the Museum where it is today. The problem with these statements are that the car was still unrestored in Saint Paul, MN. (Kasten is/was located in Edwardsville,Ill. ), in 2006 and 2007. How could the car have been traded to MARC when it was still awaiting restoration in 2007 and still in Saint Paul after partial restoration until at least 2009? Also, the car was never used at all on the Artrain... the train was discontinued before the car was finished!!! According to the list of Amtrak 800-series cars posted the Short Line Enterprises the car that MARC had was not #48 but rather was NYC #50, which became KCS #46 and then #43 before being sold, at which time it was restored as NYC "#48", receiving 800-series number 800083. Prewar car, but CBQ "Silver Streak" is a Budd flattop obs survivor, built 1936, non-articulated car, now at 9300 Highway 290 West, Austin, Texas with two other former Denver Zephyr/Texas Zephyr cars being restored, all three cars moved last fall from Hill City South Dakota for me by Topfuel. Santa Fe RR historian John McCall went for me to Denver and Golden in November to capture archival images of these three cars from the Otto Perry collection and Denver Post collection, especially. He met there with Hol Wagner on my behalf, and received from him some good images and suggestions. John also in December obtained for me copies of everything from the DeGolyer library at SMU, and if you will search "Texas Zephyr" in Flickr , setting filter to "recent images" you will see that within days after he left the DeGolyer Library, the library staff posted on that website some of the images they digitized for me as a result of his visit. Remarkable images. Next source for investigation is the collection of photographs made for the 1948 Granger Road CBQ corporately funded history book, about 3000 images, with about 500 of them now online, at the Newberry Library, some good interior shots found there in the digitized collection. Too cold and snowy to ask John and his wife to go to Chicago right now to check on the rest of that collection. If only there were an online index to the Budd builders photos at Strasburg, it would sure help us out in the interior restoration effort, I would like to ask him to go there when it warms up. 10,000+ images, it will take them years to process that collection, I fear. And, we quest for the holy grail, original blueprints, hopefully surviving at Thyssen-Krupp but apparently not accessible. This car went to Stone Mountain as 1508 Steve Polk and remained there until being acquired by the Southwest Georgia Railroad Excursion Authority in 2002. It was not until then, when it became part of the S.A.M. Shortline operation, that it was given the name "SAMUEL H. HAWKINS" in honor of the founder of the Savannah, Americus & Montgomery Railway (SAM Ry.). The car retains #1508. Thanks, Stephen, for clarifying the history of FEC Bay Biscayne! The SAL 6604 in 1982 was sold to John McGoff and his Global Industries. He re-named it Global Star IV. While the car did frequently appear on Bluewater Chapter trains, it wasn't officially sold to Bluewater until C. 1995. The car was given a vestibule on the round end for mid-train operation that McGoff had removed. Thanks, Chris, for the info on SAL #6604! NYC #48 sold 12/1959 to KCS #44 to #43 1963 sold 1970 to William Dowd (Baton Rouge, LA) to Artrain (ARTX) after Artrain shut down, the #43 was stored for several years at Amtrak's Midway Station in the Twin Cities (saw the car from the EB Empire Builder in 2009). KCS #43 was retired in 1970 and sold to William Dodd, Baton Rouge, LA along with NYC #49. J. F. Williams then bought it, renamed it “Starlight Forty-Eight” and ran it on the Branson Scenic Railway. It was then bought by John Hickman who restored it to the NYC #48 exterior. Around 1980 it was occasionally stored at the B&O Railroad Museum in Baltimore, MD. 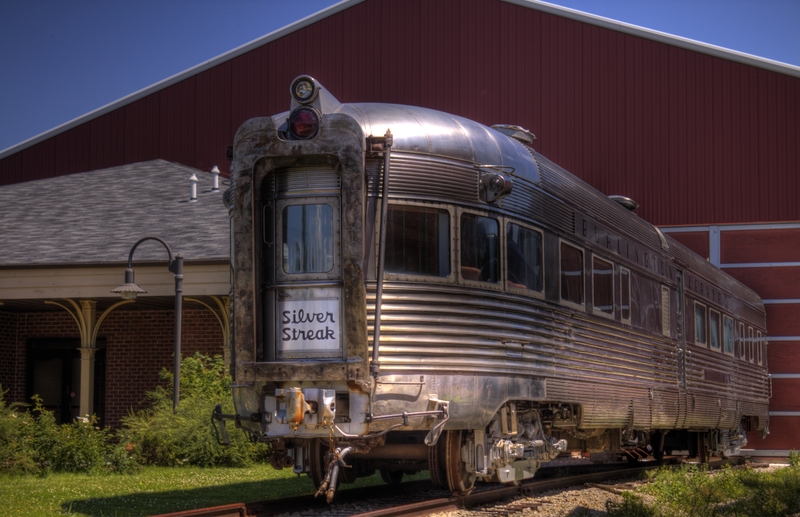 Soon after that it was transferred to Bill Jenkins, associated with the Indiana Transportation Museum in Noblesville, IN. He put the car into Amtrak charter service, usually doing round trip weekend excursions on the “shop train” between Beech Grove, IN Amtrak shops and Chicago. During this time it was listed under the Amtrak private car number 800083. The number is still on the side of the car. [Sold by ARTrain] to Kasten Railcar Service who converted the car to head end power and did the glued-on veneer interior redecoration. The car was then run on charters out of St. Louis. Approximately 1995 Kasten traded the car to MARC for ten RDC cars(!). In January 2009 MARC donated the car to the Museum where it is today. I'm wondering if Artrain acquired two of the NYC Lot #2174 cars, one of those being the #48 (from Bill Jenkins) and needing only one of the two for their traveling exhibit train, sold the #48 to Kasten Railcar. This could have led to the confusion regarding the identity of ARTX #105, the number assigned to the NYC car that they did retain. What's interesting is that Stan Garner (in his list of cars that have carried Amtrak #800xxx-series numbers http://www.movie-trains.com/pvlist.html) lists the history of the #800086 (the car at the B&O Museum) as such: NYC #50 to KCS #46 to #43 to private ownership #48. The NYC #50 was renumbered to KCS #46, but became the #40 in 1963, not #43. Randall lists the sale of #50 by KCS to a William B. Stewart. This car was recently discussed as a surviving car south of the border: http://www.rypn.org/forums/viewtopic.php?f=1&t=31449 (see Topfuel's post on page #4). The Wingate Brook was sold by Amtrak to American Rail Excursions (#800487) before being acquired by Les Kasten. The Babbling Brook was formerly based at Coopersville, MI, while owned by Tyler Robbins, who also owned ex-UP business car #120 Navy, which was also based at Coopersville. The Fall Brook went into private ownership as the Monterey and was later acquired by Casablanca Fan as the City of Pasadena. Ansco Investments acquired the car from Casablanca Fan as D&RGW Colorado. Ansco also acquired CRI&P #364 Duncan (City of Industry) from Casablanca Fan as D&RGW Iowa (later Utah). Ansco later sold the Colorado to a private owner and the car received a Sokolski Zephyr drumhead while still painted in D&RGW Aspen Gold. The car was later acquired by Kasten Railcar and burned while in storage. The car was then stored at Gateway Coach before being parted out and scrapped. 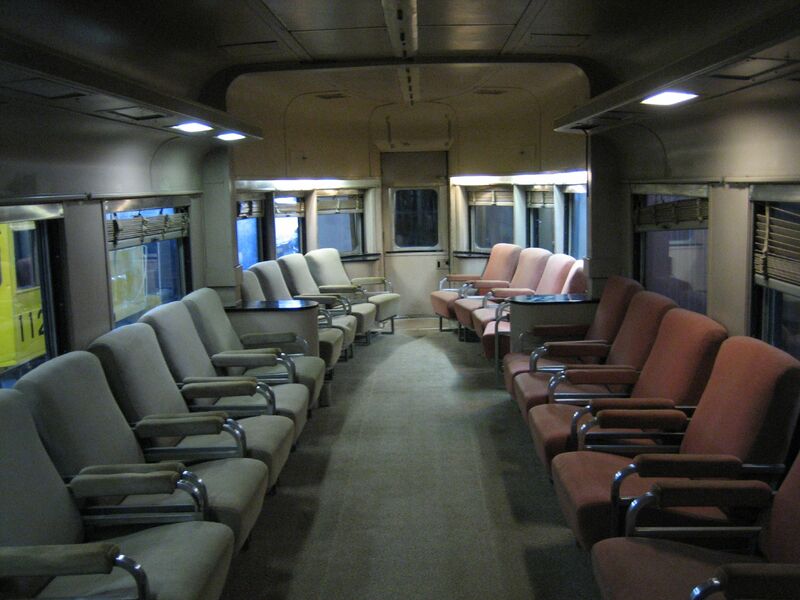 There were three coach - lounge observation cars built for Seaboard Air Line that lacked any sort of bar or buffet which Amtrak did not acquire since reportedly it would have taken too much effort to rebuild them with such. They were numbered SAL 6400 - 6402, with 6400 being rebuilt to a blunt-end observation car in 1943 (the other two remained round-end). All received SCL numbers 5820 - 5822 and all were rebuilt to Instruction cars, numbered 775002 - 775004, and were used as such by the SCL, Seaboard System and CSX prior to being sold off. I wondered why Amtrak didn't purchase these, as SCL was a main contributor to the fleet. Thanks, Jerry, for the info! Thanks, William, for the info on Silver Streak! On a side note, what were the other two CB&Q cars you acquired from BHCR? They are coupled back to back and used as office space at 300 De Haro Street for a flooring contractor, an IT consultant, and a precious metals dealer. In 2009, the landlord was looking to "restore" their interiors, but I'm not sure what happened. They are located alongside the former ROW of the Western Pacific. The ROW has been slowly reabsorbed into the urban fabric, and line alongside these cars has been housing for some time. Other two cars moved from Hill City South Dakota were Silver Beam and Silver Lining. Thanks, William, for the info! Whatever it's original number, the Budd round-end obs car painted in MARC colors was at the Baltimore Riverside yard office in the Fall and Winter of 2000-2001 when I was an engineer trainee. I know that for a fact. I might have a photo of it there somewhere. KCS 41 is part of Southern Belle Antiques at the corner of Charter St. and Race St. in Jackson, LA. NYC 48-51 became KCS 44-47. KCS sent the cars to Pullman in the 60's to have an 8 seat lunch counter installed, new disc brakes, etc, and they renumbered them as they were shopped. 44 became 43, 45 became 42, 46 became 40, and 47 became 41. KCS service ended in 1969 and the cars were sold off in 1970-71. 40 was sold to a James Whitcomb Riley fan club out of Indianapolis and ran on the back of the train to Chicago alot, then sold to James Strates carnival in Taft, Fl. back of the train to Chicago alot, then sold to James Strates carnival in Taft, Fl. Don't know if car ever ran in the carnival train, when I saw it at Taft in '76 it was stationary being used as an office. Sold late 70's to John Hickman and Phil Jenkins. Kept at B&O museum. Phil flew down here in summer 1980 and we removed parts from KCS 43(with permission, see below). They brought the car down here to New Orleans to visit on what was probably its first long distance trip and I got to ride her but only in from Slidell on the back of the Crescent. I flew to Baltimore in late 1980 and worked on the car for one day(ruined a jacket from battery acid splatter). They used the car on excursions out of Washington, and as an extra fare charter lounge out of Chicago. I believe at one point the car was seized by Amtrak for non payment of money owed. The guys sold the car to Les Kasten who said he picked it up at the Amtrak yard in New Haven, CT. I think this is the car that briefly ran on the Branson Scenic and Arkansas and Missouri as a visitor. As previously stated he traded the car to MARC for some RDCs and car became MARC 1. Was not used much, was loaned to B&O museum group and eventually donated to them. This car was named "NYC 48" for most of its post KCS career, but it was really NYC 50. KCS 41 was sold to Bill Dodd, former Lt Gov of Louisiana, it was taken by rail to McManus, LA on the IC and then trucked to his farm just west of Clinton, LA. It took two days to get it place with house jacks. He said he bought it as a playhouse for his grandchildren. It was also used for entertaining and was quite a landmark(could be seen from the road). He died in 1991 and his son sold it to Leroy Harvey, a Jackson, LA businessman in 1994. It took 8 hours to move the car about 10 miles down the road and set it in place using an 80 ton hydraulic crane. It was placed in front of one of his businesses, now named Southern Belle Antiques. The interior was redone and transformed into a tearoom. I think the car is rented out, not open regular hours. It is quite a landmark on the main drag of Jackson. KCS 42 was sold to Brewton Lumber Co outside of Winnfield, LA. KCS served this large mill in a big way with a 3 mile long spur off the main line at Carla. They just used a panel track to roll the car in place by their offices. They put the lounge furniture in their offices, and set up a conference table in the car. They used it for meetings and a lunch room. They just called out the local Carrier repair man to service the A/C when needed. Brewton Lumber sold this mill to Louisiana Pacific and several years later the mill was shut down. In the 90's they moved the car to their mill in Urania, LA. It was placed directly across the road from the main entrance to the plant, across from the guardhouse. They built a deck around it on one side and used it for entertaining. There is not much in Urania and a good restaurant would be very far away. Plant was sold to Georgia Pacific and a few years later they closed it down(2004?). Car was safe because the guards were still across the road 24 hours a day. In 2008, car was moved to the GP mill in Gloster, MS via a two day road trip. They also brought a little critter loco from the Urania plant. Gloster plant closed down a few years later and in 2012 it burned. KCS car was parked away from the buildings and was unscathed. I think some lumber executive kept changing jobs and was taking the car with them each time. In 2012 car was sold at auction and bought by Jon Clark. It(and the critter) were trucked to Metairie, LA, to the KCS yard and parked next to the former KCS diesel shop(which Pete Messina leases for his passenger car shop). Jon was supposed to come to New Orleans in fall 2012 to work on car to get it ready for freight movement, but its been sitting where it sits for over a year and a half. There are two other round end cars at Pete's shop...NYC Bonnie Brook(lives there) and NYC Sandy Creek(they are coupled together vestibule to vestibule)....Pete is turning Sandy Creek into a new car for the NS business train and it will retain its name. KCS 43 was sold to Wiley Johnson who turned it and a caboose and a few boxcars into the Red Caboose restaurant on Arnoult Rd in Metairie. It was quite successful for a while and so when he went to open several more locations, he went back to KCS to buy the others he has seen but they were already sold. 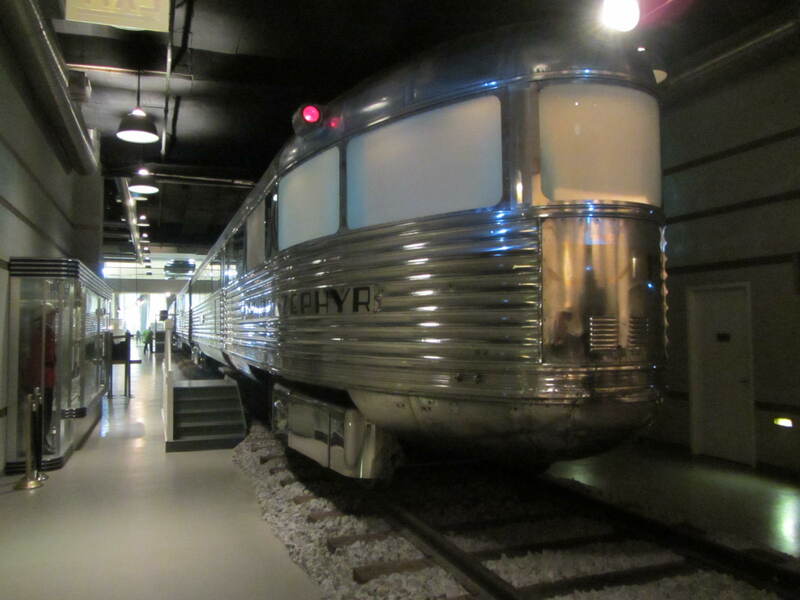 The rail themed restaurant fad was soon over and eventually the restaurant closed. It was used for a few other businesses, but eventually the railcars were removed. 43 was sold to J.F. Williams, I believe an attorney or architect in Texas. The car was trucked out from the restaurant, but I was told it was taken to a local rail yard and probably put on a flatcar. The new owner had the KCS paint stripped off and taken back to shiny stainless steel, it was put back on the rails and all the damage that had been done turning it into a restaurant was fixed(large holes cut in roof and floor for a/c ducts etc). He named it Starlight 48. I saw one picture of it once but never heard about it operating. In the late 90's it was sold to Artrain. One spotter saw it moving in a UP freight train. It was carefully sealed up for movement with windows securely covered. It ended up at the MSP Amtrak station where a car rebuilder must lease a spur track there. It was worked on for years, little by little, I think Artrain had the work done as money became available. It was never used by Artrain. They decided to do their traveling by truck, and the car was sent to Ann Arbor(their headquarters) and put up for sale. At last price, $99,000, there were no takers and so they took it off the market and decided to use it for an office. It is parked outside their offices on live rail. When it first got to Ann Arbor it may have been down the track a ways unwatched, and the graffiti artists really did a number on it. Thanks, Greg, for the info on NYC #48-#51/KCS #44-#47/#40-#43! What is it with people decorating the interior of their Budd Obs car like a French whorehouse??? Melco labs did just about the same thing to the Fort Benning back when. Sickening. Thanks to Greg for sorting out the KCS mess. Am I right that more than one of these cars got smooth panels or panel on the rear end? I'm not sure that I've ever seen that done on a non NYC car -- wonder if there was a problem? Does anyone have any ideas on the FEC car Hobe Sound? I could swear I've seen or read something on its whereabouts, but I can't remember where or the details. Thanks to everyone for the updates! Actually that nut that owned the Fort Benning while it was in Charlotte, North Carolina did that to the interior. It was inspired by the interiors you saw in railroad presidential cars from the mid 1800's. Think back to some of the old western movies and TV shows like Little House on the Prairie that showed interiors of 1880's era office cars. Heck, during the 1950s and 1960s people decorated their ex-railroad, 1920s built business cars in "early french whorehouse." And then when they could not run them, the cars were donated to the nearby museum which now had car that did not represent its original design and purpose. John White lamented this in an article in the 1981 issue of IA , annual Journal of The Society for Industrial Archeology.